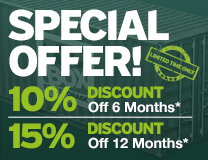 Loc-Box Self Storage offers great value, secure self storage from our sites at Corby, Daventry, Kettering, Market Harborough, Newark and Northampton. All our sites are open 7 days a week so you can come and go from your Loc-Box at your convenience. Our Loc-Boxes are great for furniture and household storage, document archiving, business storage or for lock-up units. 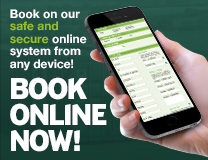 Booking storage with Loc-Box Self Storage is very simple, easy and hassle free. Use our intuitive locator to find your nearest Loc-Box Site. All the contact details and access information is downloadable from the site's dedicated page. Loc-Box offers Self Storage Units to both business and domestic customers from our storage sites in Corby, Daventry, Kettering, Market Harborough, Newark and Northampton. All of our Loc-Boxes are new modified 20ft shipping containers that fit the contents of an average 3-4 bedroom house. Straight forward to use and friendly staff. Well organised service . No issues at all , very easy access to your container . Great access 24/7. Privacy. Pull your car right up to storage lock up was perfect. Very happy with Loc Box. Would use them again. Great customer services!! We used loc-box Market Harborough for storage whilst having building work done. It’s spotlessly clean, really accessible and convenient and good customer service, we’d definitely use them again! Very friendly, and helpful staff. Site is on a slight slope, so worth trying to make sure you get a suitable container if you are storing things on wheels etc. Several times over the 18 months I stored here, the door hinges would drop making the unit inaccessible or unlockable, but the team at loc box were always very helpful and fixed the issues quickly. 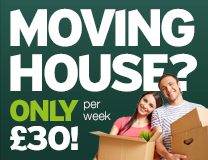 Was ideal for storing our furniture at a reasonable rate while we refurbished our house. Would use again definitely. Easy to set up, clean and secure container and very easy company to deal with. Will definitely use again. Loved using this storage! Love that access is 24/7, its easy to setup and close an account. Staff were very friendly and helpful. If I need storage I will definately used again. Highly recommended.